In 2005, I called Dr. Dan Petit of the Cleveland Metroparks System and told him that Western Cuyahoga Audubon Society (WCAS) was going to adopt the Rocky River Important Bird Area (IBA). I asked him if he could use our help conducting bird surveys there. Dan replied, “I’ve been waiting for a force of volunteers to offer their help. How many people do you have?” He was astounded when I boldly told him I could muster 60 people, many of whom were skilled birders. Cleveland Metroparks was targeting an expanse of land between Hinckley Reservation and Mill Stream Run Reservation along the East Branch of the Rocky River. This critical habitat was largely private property. Metroparks had a plan to acquire this property piece by piece in order to help create a contiguous parkland around Greater Cleveland, Ohio. Metroparks needed our data to bolster proposals for funding to purchase these parcels. This became our goal and our destiny. The Rocky River IBA exists west of Cleveland in Cuyahoga, Medina and Summit Counties. Three reservations of the Metroparks comprise a large portion of the IBA and private parcels exist along the East Branch in the southern portion of the IBA. WCAS is one of 500 chapters of the National Audubon Society. We are not a birding organization per se, but an organization that educates people about conserving natural resources. ​Our area of interest is the west side of Cleveland, Ohio in Cuyahoga County. Explore this Web Based Exploratory Mapping Tool for the Rocky River Important Bird Area. ​View the Bird Survey Data here. WCAS adopted the Rocky River IBA in order to monitor bird populations in the East Branch as an indicator of the health of this ecosystem. Our goal was to collect credible data to help Cleveland Metroparks sustain the natural resources of the Rocky River watershed for future generations. We did this by collecting several years of data that described avian communities in three Cleveland Metroparks reservations. The National Audubon Society recognized the importance of the Rocky River East Branch by designating it as an IBA in 2000. However, a survey of such magnitude of bird populations had never been done before, and thus no data existed. We wanted to conduct a five-year forest breeding bird survey in order to establish credible and detailed information about bird populations in the Rocky River valley. With this information we wanted to be able to make a defensible statement about bird populations trends and their link to the health of the habitat. Our plan was to accurately assess the diversity and abundance of forest breeding birds in the IBA. We employed a method used the Cuyahoga Valley National Park and the Smithsonian Migratory Bird Center. Above: Tom Romito, Western Cuyahoga Audubon Volunteer, talks about the role and value of citizen scientists in climate change research. ​ Year Two of the bird survey (2007) featured a vegetation survey in order to make statements about the kinds of habitat where birds tend to breed. We selected 62 computer-generated points on the ground to conduct the survey. The methodology we used to conduct the survey was called point counts. With Dan Petit’s help, we trained WCAS members and friends to find and mark the points, survey the vegetation at those points, and input the data those volunteers collected. We recruited another group of volunteers to be observers to actually conduct the survey. We didn’t train these people. They had to come to us already expert in bird identification and pass a rigorous test to demonstrate their competency. Observers only recorded birds normally found in forest or woodland habitats, and not birds located in other habitats, such as wetlands, adjacent fields, or backyards. The Rocky River Important Bird Area was the most important conservation initiative WCAS could undertake. It was really more about people than birds because it would study the impact of conservation on the quality of life of people who lived in the Rocky River watershed. We did not a lot of money to survey an IBA, but we needed some. We became active in fundraising and raised funds with a strategy called earned income. This strategy included techniques such as annual appeals, direct appeals, sales of products, fundraisers, and public appearances. This period of our history is replete with examples of how members of WCAS reached out to our community as citizen scientists. These examples demonstrate how we made a transition from serving as a local chapter of the National Audubon Society to becoming one of the most active citizen-based environmental groups in northeastern Ohio and a model program for other Audubon chapters. Above: Listen to Tom's story about how to connect volunteerism, birding and citizen science. Add WCAudubon SoundCloud Playlists to your podcast selections. In 2009 and 2010, we held workshops by eight stakeholder organizations to determine where our efforts would be best needed in the future. The consensus of the workshop was that WCAS is best positioned to market the IBA through public outreach, and we continue to fill that role. As a result of our efforts, WCAS developed a cadre of 100 members and friends who were trained and experienced in conducting bird and vegetation surveys. Rightly called citizen scientists, we were and remain on call to respond to requests from Metroparks and community organizations to survey bird populations. We also establish sanctuaries and offer advice on preserving habitat. We are truly ambassadors to the community. Our project was a success because our board stuck with it through thick and thin. Other chapters that want to run IBA projects will find ways that work for them. They will have to recruit and train volunteers, some of whom must already be expert birders and be able to follow protocols. Other will have to raise funds, educate the public, and garner the support of elected officials, things we learned to do ourselves. Learn more about the Western Cuyahoga Audubon Rocky River Important Bird Area conservation project here. 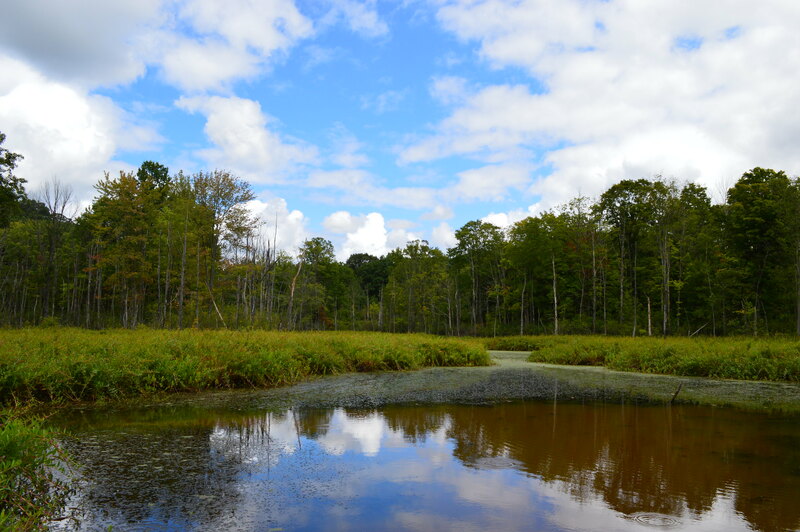 Learn more about the Rocky River Important Bird Area at the WCAS Archive website here. Tom Romito was president of Western Cuyahoga Audubon from 2003-2014. Still a board member, he is also a facilitator and helps organization that want to grow. He is passionate about climate change, the healing art of reiki, Native American culture, and birding.